The Most Comfortable Chairs for the Living Room! My Top Favorite Most Comfortable Chairs for the Living Room! Today I am on a quest to find the most comfortable chairs for the living-room being sold! 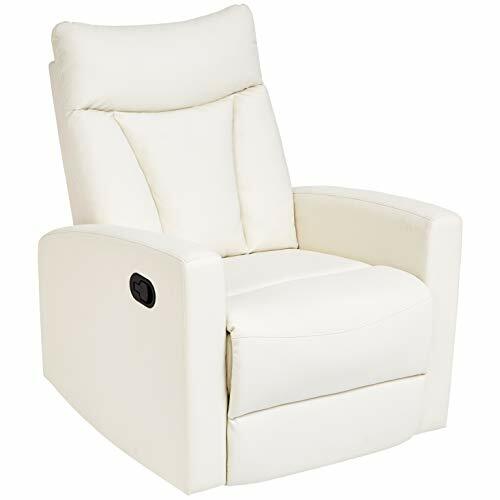 *This gorgeous and modern looking white faux leather glider recliner is very inviting, don’t you think? There are many kinds of comfy chairs for sale, of course, in many colors, fabrics, styles, and designs! Top quality furniture usually comes with a higher price tag, this much we know for sure, but you don’t have to break the bank in order to find a comfortable chair either. Awesome Ergonomic Chair for the Living Room or Home Office! 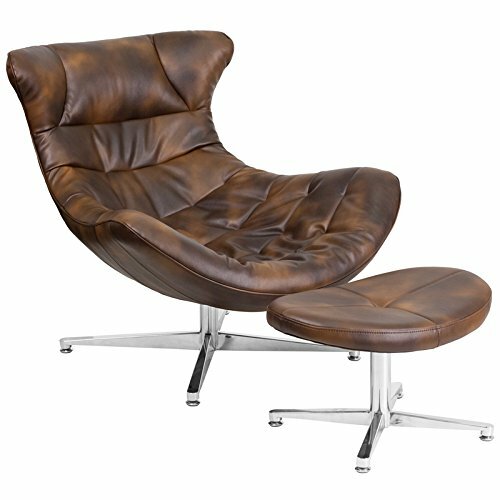 When I saw this retro-style leather lounge chair with ottoman I fell in love with it immediately! It is the perfect blend of ‘old-fashioned meets modern’! This is an extremely sturdy, high-quality, comfortable ergonomic chair to have either on a nice corner of your living room or in your home office. It is made of leather and it has a nice and sturdy steel base. The chair has a nice backward tilt that is just right for relaxation but not so much that you will fall asleep. The ottoman stool is absolutely perfect for putting your feet up and relaxing your legs after a tiring day. Very comfortable chair for the living-room with attached side table! You can never go wrong with a nice recliner and ottoman set for your living-room. 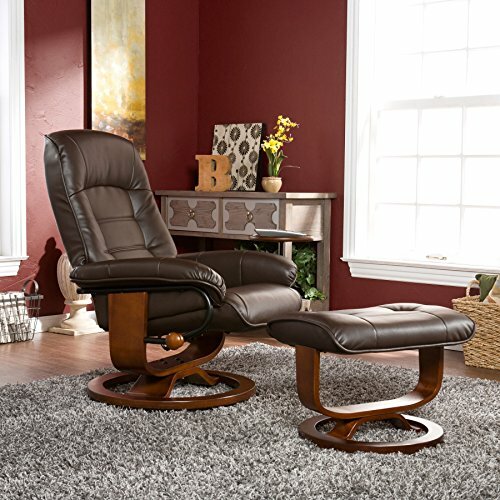 This is a very stylish chocolate brown leather recliner with ottoman for sale! As you can see it blends beautifully in the living-room! Perfect to watch a nice movie or read a book, not to mention bring your favorite drink or snack with you and use the cute attached round table included. 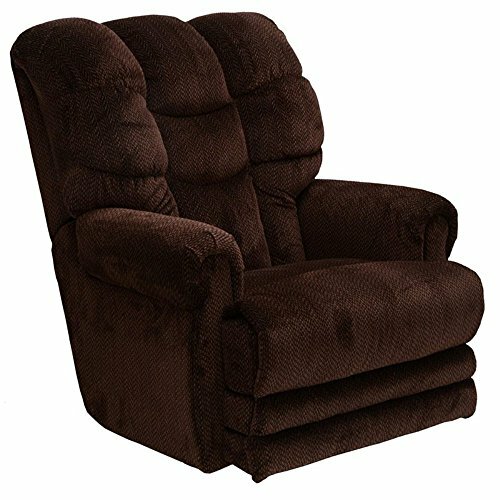 Very Comfortable Overstuffed Recliner Chair for the Living-Room! 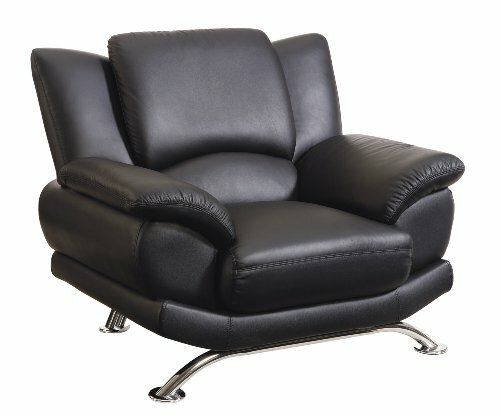 This cool and very comfy recliner is actually called a ‘wall hugger’ and as you can see it is overstuffed and ultra-padded everywhere! 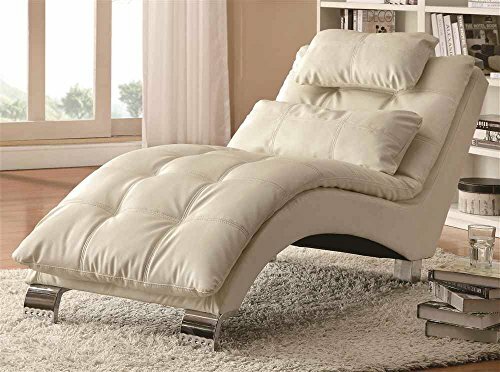 The cushioning is filled with high density foam so it gives your body a nice support while you are using this chair. If you are looking for a comfortable but modern looking chair for your living-room, I think you are going to love this gorgeous beige and orange cool looking comfy leather chair for sale! It is actually a matching chair, which means you can also get a cute matching love seat as well, if you want to create a set! I love this cool design! 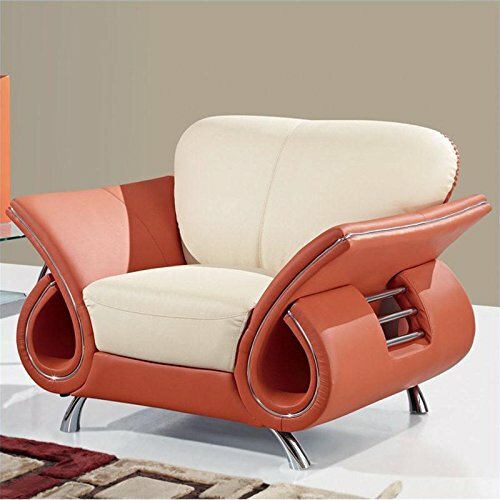 Another stunning looking and very modern comfortable leather chair for the living-room! You can also get the matching sofa and love seat if you want to create a beautiful, modern looking living space! It is the perfect ‘marriage’ of contemporary style and comfort! Of course, I couldn’t forget to include a beautiful white color, spacious and very comfy living-room chaise here! They are also among the most comfortable chairs for the living-room without a doubt! The white color is very elegant! It blends well and brightens up the room. I also love the cute attached pillow! Hello extra-soft and extra-comfy oversized recliner! 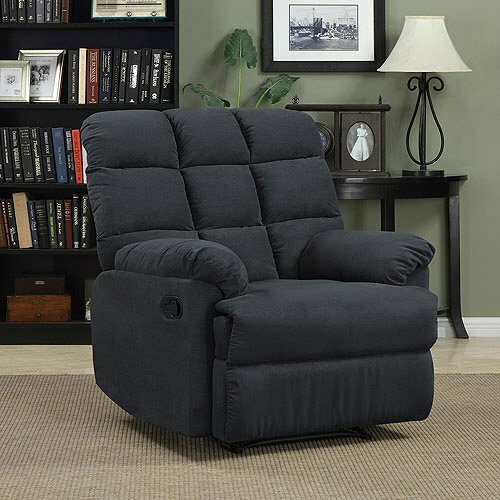 This large recliner is so soft and so comfortable, that you will find yourself ‘catnapping’ on it every chance you get! It also supports people up to 400 lbs. You can adjust it for the perfect ‘napping’ position for your body! 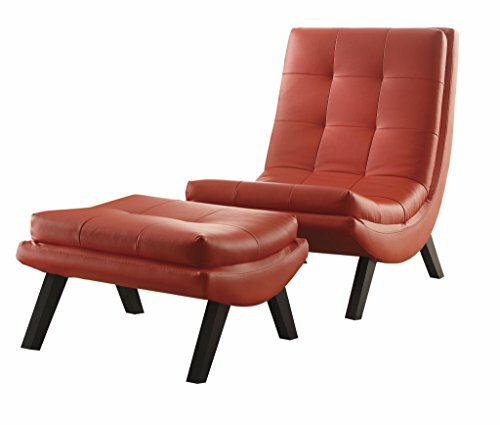 And last, but not least, a very cool looking lounge chair and ottoman in faux red leather! The legs are made of solid wood and the chair and ottoman have a nice tufted cushioning design. Comfy Chairs for the Bedroom!